Range Rovers: Meet your new $200,000 king. Just days ahead of its world debut at the New York Motor Show, Land Rover has unveiled the Range Rover SVAutobiography. As the most expensive, most powerful, most luxurious Range Rover ever made, what you’re looking at is essentially the replacement of the Autobiography Black trim level, but with a price tag of $199,495, comes in at almost $15,000 more. Range Rovers: Meet your new King. Available in both standard and long-wheelbase bodies, the SVAutobiography sports a new two-tone paintjob, combining a Santorini Black upper body with a choice of nine colors, bespoke badging, new lettering on the hood and a unique front grille finished in Graphite Atlas and polished chrome. 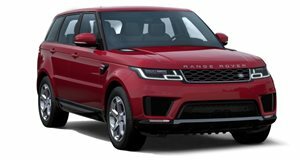 The range-topping Range Rover comes powered by a SDV6 Hybrid, SDV8 or the same 542-hp 5.0-liter supercharged V8 – albeit retuned for comfort and refinement – that motivates the Range Rover Sport SVR. Opt for the bad boy, and the carmaker will throw in some gorgeous quad exhaust tips. Power from the blown V8 is sent to the wheels via a ZF eight-speed and Land Rover’s latest Terrain Response system. The super-luxurious interior boasts power-adjustable rear seats, powered deployable, laptop-friendly, tables, a nice fat center console, and a fridge that Land Rover calls the “beverage chiller compartment.” Most of the switchgear has been machined from solid aluminum with stunning knurled detailing, the pedals and coat hooks (seriously) are also solid aluminum, while there’s plenty of high-end wood trim and “deep twist pile mohair” floor mats. Buyers can also opt for an “Event Seating” package that adds two Windsor leather seats that can be mounted into place on the tailgate, while the boot also features a sliding door, finishing in aluminum and veneer wood, naturally. Live pictures from the NY Auto Show to follow later this week.